#275. Statue of Washington. 6 x 8.6, book plate from etching. "Munger SC -- Published by W.H. & O.H. 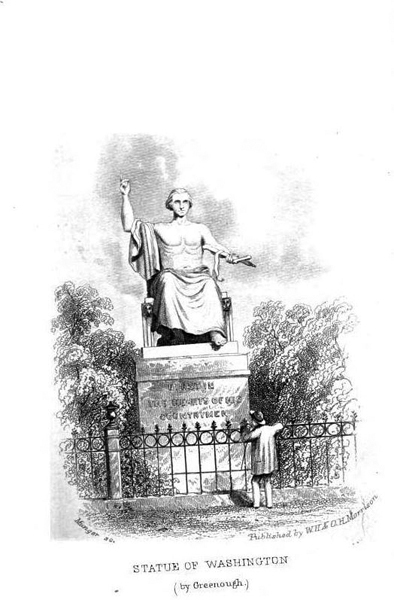 Morrison-- Statue of Washington (by Greenough)" bottom of plate. 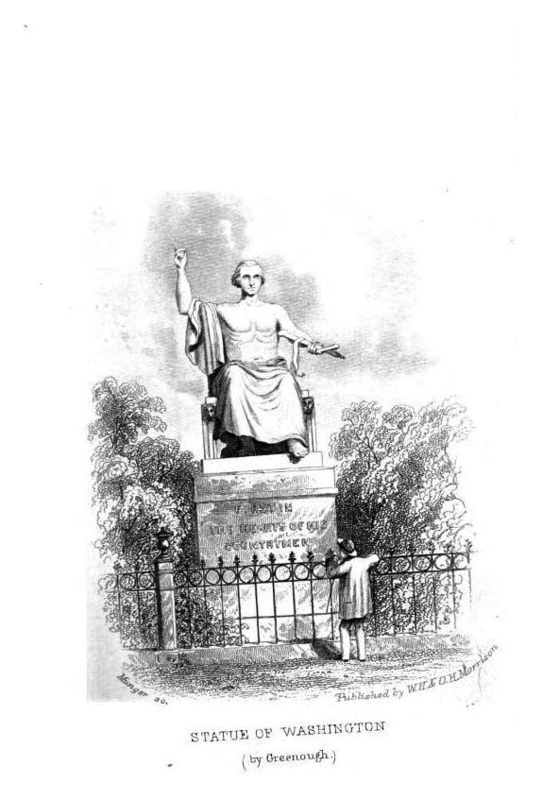 Gilbert engraved this plate in Morrison's Stranger's Guide for Washington City: Illustrated with Wood and Steel Engravings : Entirely Rewritten and Brought Down to the Present Time, by Robert Mills and W.H.Morrison, published by W.H. & O.H. Morrison, 1868, 65 pages. While Munger worked as an engraver in the Washington D.C. from about 1850 to 1867, the four plates in this book (#274, #275, #276, #277) are the only examples we have found so far of his engravings of images drawn by others. Image from the Web.